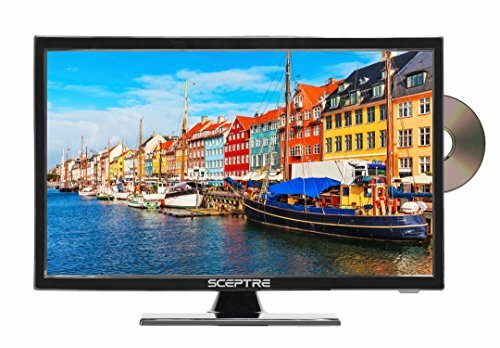 The Sceptre E195BD-SRR is your best bet to view stunning visuals on the go. The smaller screen thrillingly plays a winning role whenever you want High-Definition. The wide selection of colours that 720P resolution has to offer will never fail to impress you. 1 HDMI port allows you to connect your devices to this LED HDTV so you can catch up on your favourite show and stream your online movies. The built-in DVD player is ready for you to use with just a few clicks. The brush finish on the surface of this 19” LED TV not only provides protection from scratches, but is also pleasing to the touch. Possessing quality in both design and performance, this energy saving HDTV is the perfect addition to your ever evolving decor.